Description: Very scarce (unlisted) Vermont Balsam, prepared by DR. S.T. ROWLEY’S of Middlebury, Vt. Label is about 99.9% complete and in good condition; very readable. 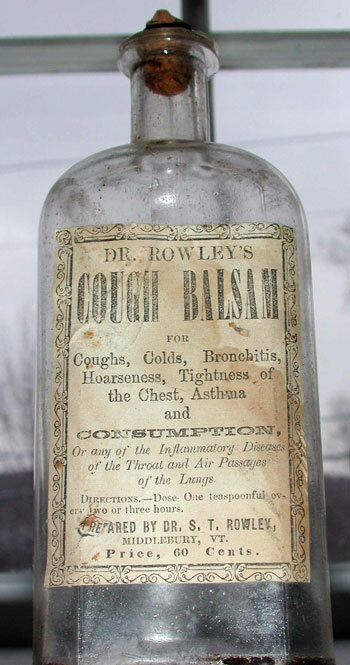 For Coughs, Colds, Bronchitis, Hoarseness, Tightness of the Chest, Asthgia and CONSUMPTION. Condition: Label about 99.9% complete in good condition, very readable. There is a very small chip (flea-bite) on the back side of lip.